We were SO IMPRESSED when we tasted this new gluten-free pasta alternative! 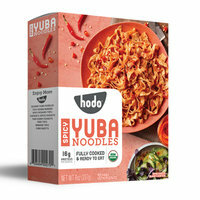 Yuba is made from heated soymilk, and it's PACKED with protein. The texture rocks, and the noodles come fully cooked and ready to eat -- heat ‘em up or eat ‘em cold! 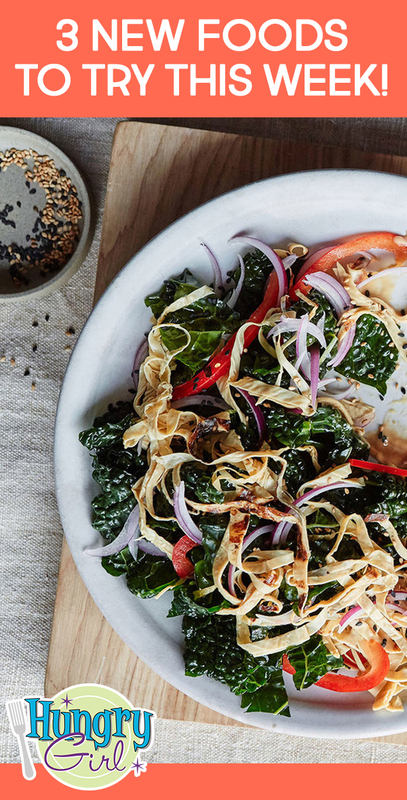 Try both the Spicy and the Sesame flavors. Available at Whole Foods nationwide and other natural food retailers. 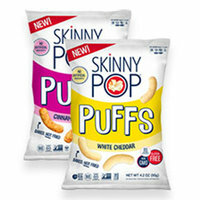 Set your current snack aside, because these new gluten-free puffs deserve your full attention! They come in Cinnamon & Sugar and White Cheddar, and YOU NEED BOTH. One tastes like Taco Bell’s Cinnamon Twists, and the other is like the better-for-you Cheetos swap of your dreams. Track 'em down! 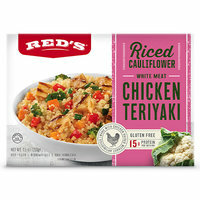 As much as we love making our own cauliflower rice recipe creations, sometimes we just don't have time. Consider these frozen entrees the ideal back-pocket fix for those occasions! There are four varieties to choose from (all gluten free): White Meat Chicken Cilantro & Lime, White Meat Chicken Teriyaki, White Meat Chicken Tikka Masala, and Chickpea Paella. Yum! Find Red's near you, and stock up... These new entrees are rolling out now! 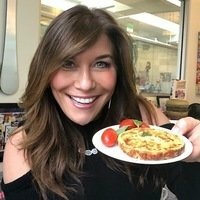 Get Ready for… The Breakfast Awards! LISTEN NOW, or subscribe and listen later! You can also find Hungry Girl: Chew The Right Thing! on your phone’s podcast app. Today, March 18th, is National Lacy Oatmeal Cookie Day! We’re gonna serve ourselves an Oatmeal Raisin Breakfast Cookie on a doily and call it a day. Share, share, share! Click “Send to a Friend” to pass along the news.